“Small cell facility” means a wireless facility that meets both of the following qualifications: (i) each antenna is located inside an enclosure of no more than six cubic feet in volume, or in the case of an antenna that has exposed elements, the antenna and all of its exposed elements could fit within an imaginary enclosure of no more than six cubic feet and (ii) all other wireless equipment associated with the facility is cumulatively no more than 28 cubic feet in volume, or facilities comprised of such higher limits as established by the Federal Communications Commission. The following types of associated equipment are not included in the calculation of equipment volume: electric meter, concealment, telecommunications demarcation boxes, back-up power systems, grounding equipment, power transfer switches, cut-off switches, and vertical cable runs for the connection of power and other services. 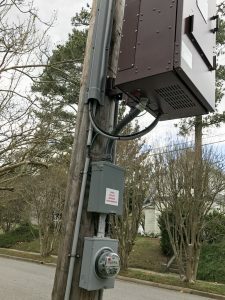 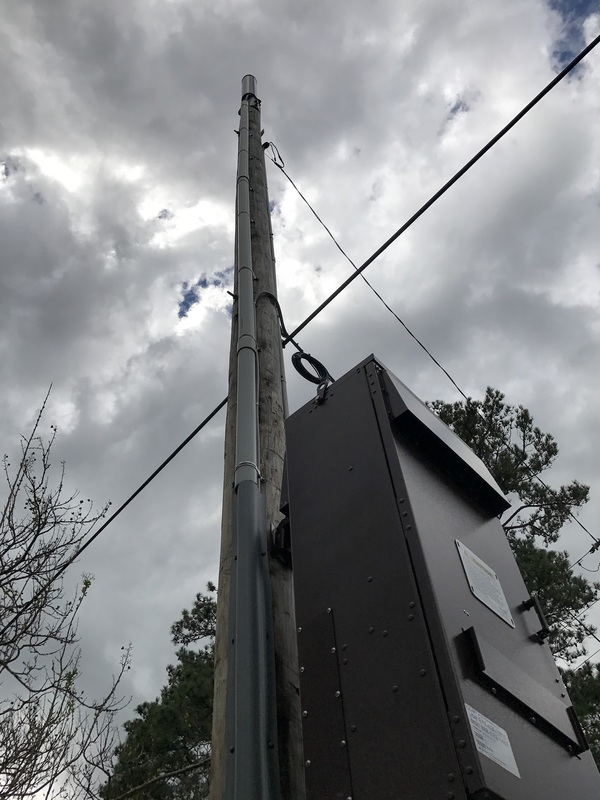 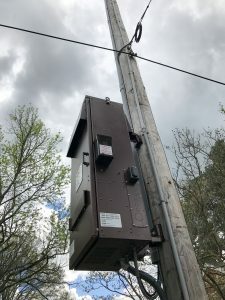 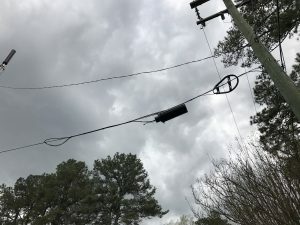 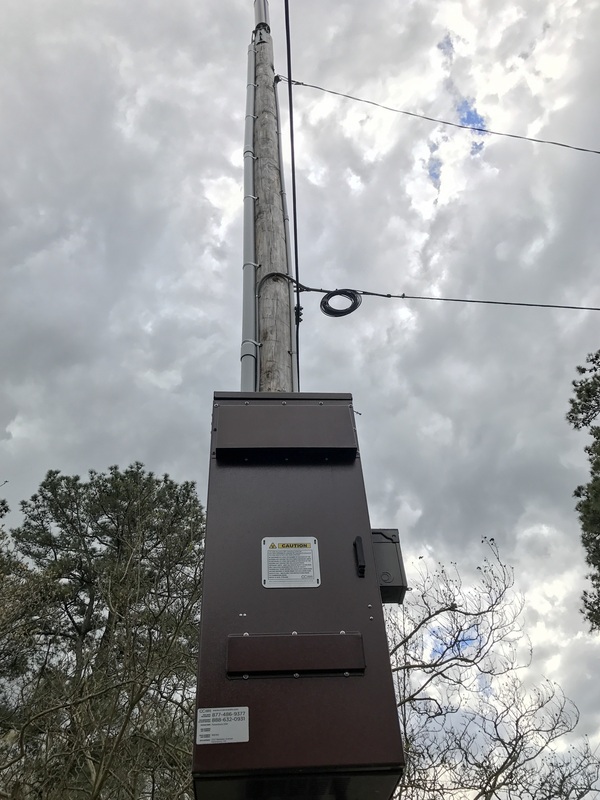 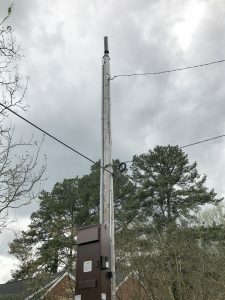 There is now a small cell facility in Walnut Hill (Petersburg, Virginia) on a utility pole alongside West Tuckahoe Street.